Born and raised in Anchorage, Alaska, Naomi moved to Rome, Italy when she was 17 years old, where she living there next eight years. Here, her university studies in Art History were essential to the development of her personal aesthetic, an individual taste deeply rooted in the beauty and endearing dichotomy of Rome, the Eternal City. In this time she worked as a fashion model, an influential experience that introduced her to the world of moda. After university Naomi headed public relations for a leading brand in the luxury goods & tourism markets. In 2011, Naomi moved to Geneva, Switzerland to join her now-husband, Eric Walsky, professional ice hockey player and upcoming artist. They currently live together in Lugano where Naomi designs and produces her bespoke womenswear collections and limited jewelry lines. 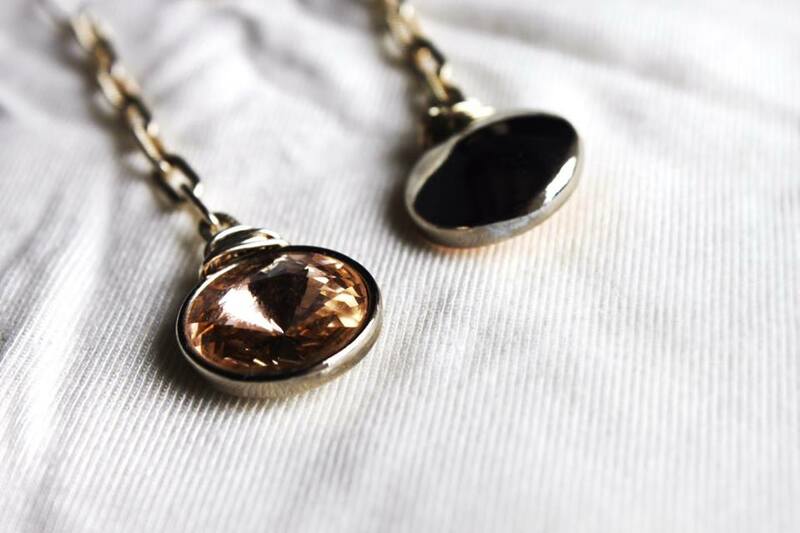 Her brand, Alicia Rosalind, features a small production of unique bijoux, showcasing the use of Italian silver & d’orato, semiprecious stones & Swarovski crystals. Fun fact – Naomi and Tara went to Central Middle School together. Naomi also made all of the bridesmaids’ earrings for Tara’s wedding.